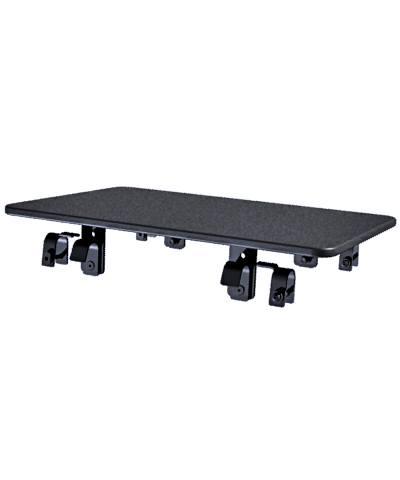 Custom Drop Solid Seat Pan, height and angle adjustable, made from½" HDPE - secured by height and angle adjustable steel mounting hardware (standard duty 4ea. L-Brackets w/4 holes, 4ea. J-Hooks w/1 countersunk hole & 4ea. horseshoe clamps for 1" tubing ).